Try to imagine riding a bike with square wheels. To move, more effort is required than when using ordinary wheels. This is how Eternal Storms Software founder Matthias Gansrigler describes OpenGL on the Mac. Until now, OS X has been lumbered with square wheels – a problem, given that OpenGL is a key system component; as Apple puts it, the API “gives your app access to amazing 3D graphics capabilities”, and it's especially important in games, creative software, and medical solutions. OS X's relatively poor-performing OpenGL implementation has seen the Mac lag behind Windows in these key areas. Apple's Metal aims to be the solution, offering improved rendering performance and efficiency. In this feature, developers explain how Metal will impact on the apps and games you love, and what it means for the future of the Mac. For the uninitiated, software engineer and writer Warren Moore explains that Metal is “a graphics application programming interface (API), which means it's a way for apps to get visual content like text and images on to the screen”. More particularly, it's a “3D graphics API, useful for 3D elements commonly seen in games, and visual effects – lights, shadows, materials – that bring such games to life”. First introduced in iOS 8, Metal is a sort-of successor to the broadly-adopted graphics API OpenGL, which Moore notes was, until recently, the only 3D graphics API supported on the Mac, and “until its latest revisions – not yet available on OS X – had significant systemic inefficiencies”. By contrast, Metal gives developers more direct access to your Mac's graphics processor unit (GPU), which results in improved performance and efficiency. This, says Moore, means developers can “build faster, more efficient apps using hardware already in the hands of millions of Mac owners”. And since Apple “rebuilt some chief components of OS X on top of Metal, this will bring much higher performance to every app, regardless of whether its creators directly use the Metal API”. Giant Spacekat founder Brianna Wu provides examples: “Civilization V runs drastically worse on OS X, and Final Fantasy XIV was suspended. The latter uses OpenGL on Windows and Mac, but because the same code was so inefficient on Mac, they had to pull the game from sale.” With Metal, she says, Mac games will finally become more competitive with their Windows counterparts, through developers gaining access to tools for writing the most efficient, high-performance algorithms for your graphics card. MetalGL's Bill Hollings says this should “provide additional headroom for those highly-tuned games and apps pushing at the limits”, although developers will need plenty of investment and effort to make use of such capabilities. Through reducing CPU usage, Gansrigler posits Metal-based titles could offer improved physics, AI, audio or game logic over OpenGL equivalents. And freelance developer Andreas Monitzer reckons “professional games will be able to provide the same visual fidelity as on Windows, while reduced battery drain means you'll be able to play for longer”. Unsurprisingly, high-profile games studios have already confirmed interest in Metal, seduced by Apple's promises of up to a 50% leap in rendering performance (meaning higher frame-rates) and 40% higher efficiency. But Hollings warns there is a snag: “This is, remember, a technology that does not provide cross-platform support”. Professional tools, he says, will generally be able to 'hide' this from the developer, using Metal for Apple devices and other frameworks elsewhere. Moore adds this will “allow game programmers who use such tools to immediately see the benefits”. But otherwise, Hollings says developers are left to use incompatible technologies, such as OpenGL and DirectX, elsewhere. Naturally, he suggests MetalGL – an implementation of the OpenGL API that runs on the Metal platform – can assist under such circumstances. Developer Glyn Williams, though, urges a touch of caution when it comes to Metal's potential for any growth in Mac gaming: “I don't ever see the Mac becoming a first-class gaming platform. The economics of the industry do not favour a smaller platform where most users have mobile GPUs.” In other words, the inherent nature of the hardware may still count against the Mac, although it's arguable Windows isn't immune to such issues, with the majority of sales being notebooks rather than desktops, let alone powerful gaming rigs. Such performance boosts could, according to Gansrigler, turn content creation on its head. “For example, in 3D model creation, it isn't uncommon to deactivate complex shaders when working on a model, because turning it around becomes sluggish and unbearable”, he explains. “Metal might make it possible to leave those shaders active”, thereby giving the designer “a much better look at what they're working on at all times”, and resulting in a superior end product through quicker iteration. And regardless of your chosen field, desktop displays are now following mobile in ramping up to high-resolution, which makes graphics performance increasingly important. Despite the potential afforded by Metal, developers are cautious about singing its praises too much. Indie Mac/Linux porter Ethan Lee complains it's restricted to “those with resources to dedicate towards Apple-specific products”, claiming that “the rest of us are basically going to get nothing out of this”. Monitzer counters that some gaming indies will at least be covered through “Metal being adapted by large game engines, meaning anything developed with them will use it automatically”. Gladman echoes Lee's concerns about Metal, saying it “requires a fair amount of effort to really get up and running”, and wonders whether Apple should deliver a high-level framework to exploit its power: “This could mean extending SceneKit, for example, with a suite of new features, such as photorealistic renderers and GPU-based solvers for cloth, hair, smoke and liquid simulations”. Alternatively, he mulls the emerging open-source community around Metal could fulfil that role. More positively, Moore says we've already seen Metal “bring new gaming experiences to iOS by enabling more immersive effects and a greater amount of content on the screen at once”, and the Mac could enjoy improved games and OS snappiness. 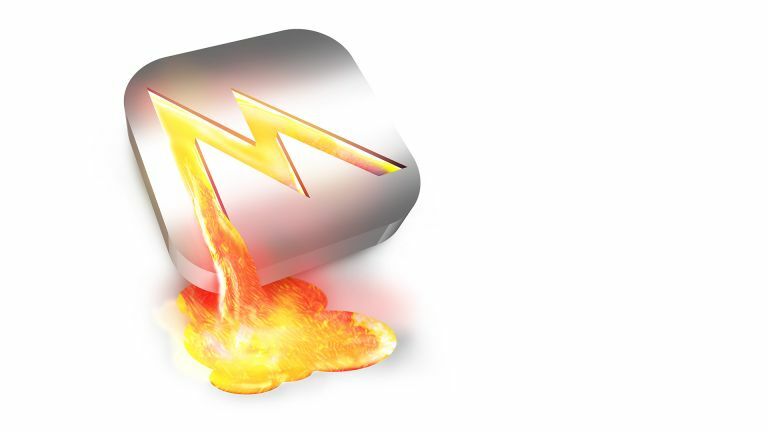 And Gansrigler wonders whether Metal could usher in more Mac ports, due to a combination of the platform's increasing sales and developers being enticed by the new and impressive API.